(Unicorn Caterpillar Moth) - imm. Size: approx. 10-15 mm. Photo: 09/11/11, noon. An interesting caterpillar of a grayish moth. 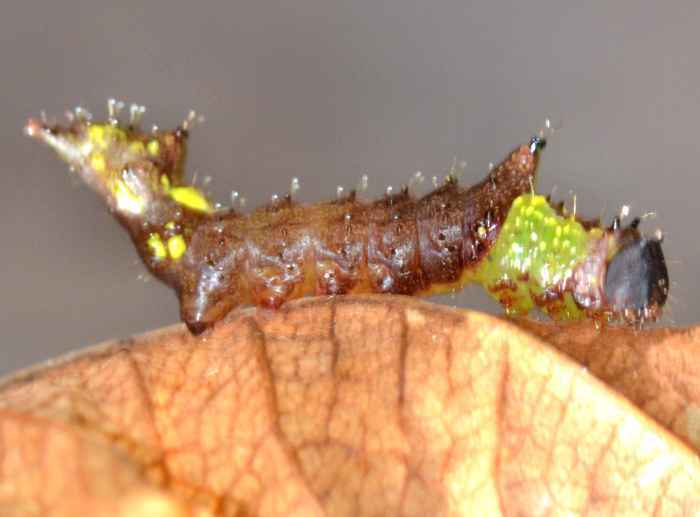 This is the Unicorn Caterpillar (Schizura unicornis). 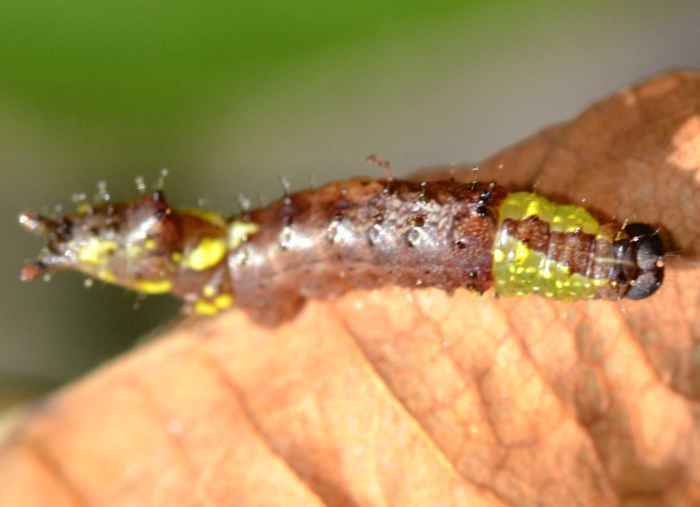 Caterpillars in this genus can spray a jet of formic acid over several inches from a gland in the hump. I found this specimen on a rose leaf and luckly did not experience the formic acid welcome.